"Look!" Michael exclaims, pointing. 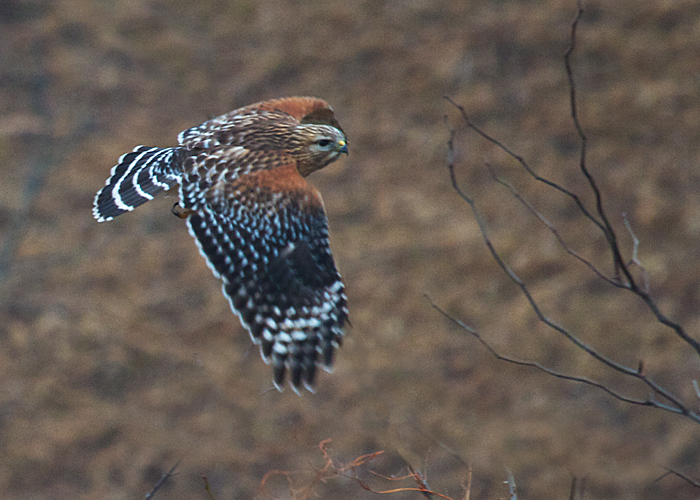 And there a red-shouldered hawk is making a low-altitude dash into a thicket of trees by the pond. I love the sharp bands of its tail, the velvety rust of its shoulders. A hawk we see seldom. And always with gratitude.